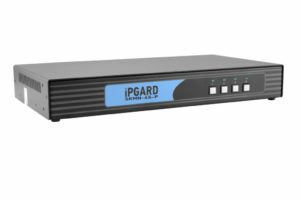 Centralize control of multiple computers using Secure Switches by IPGARD. Each secure switch offers absolute mechanical, electrical, and optical signal isolation between computers and the switch’s ports, shielding each connected device from data leakage and hacking. Secure switches are tamper-protected and essential components for any secure set-up, ensuring your networks are sealed and safe from malicious cyber interference. Securely centralize control of up to 16 computers from one USB keyboard-mouse and personal display combo. Choose from an extensive selection of secure switches with keyboard-mouse emulation, optional CAC support, multi-head connector configurations, and anti-tamper protection technology. 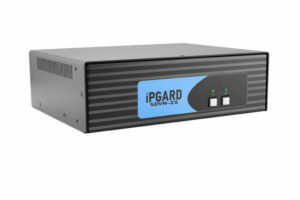 Each Secure KVM unit features DVI-I (SDVN), DisplayPort (SDPN), or DisplayPort-to-HDMI (SDHN) connectors essential for detailed visual operation from your personal display.